One of the things I’ve learned about writing books is that it’s important to have a critique group. These are people with differing backgrounds, not family members, who are willing to give honest feedback about your work. Not only do they critique what you’ve written, but they can provide new ideas to help your story. If you’re fortunate, you meet very talented people and I have been lucky in this regard. The members of one of my critique groups are authors of children’s’ books. But they aren’t only authors, they are poets, artists, and musicians. One member, Susan Oyler, wrote a rhyming piece about tarantulas. I loved the science in it. I also noticed that the rhythm of the poem matched the cadence of Grieg’s “Hall of the Mountain King.” So, another member, Lori Bonati, took the poem and put it to music. She had to tweak it a bit, but it is simply fabulous. Such a magnificent musical piece deserved to be animated. So, I got my animator, Anderson Atlas, to bring the tarantula to life. 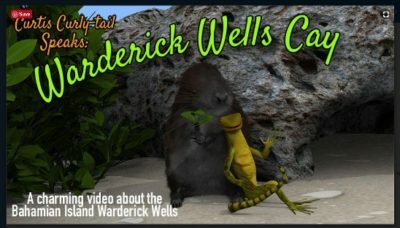 Please enjoy it and my other videos on the YouTube channel Curtis “Curtis Curly-tail Speaks,” featuring the perfectly wonderful curly-tail lizard and my friend, Curtis.